A growing area of governmental concern that regularly makes the headlines is childhood obesity. Golden Goose PR client Matt Roberts, is one of the UK’s leading fitness and nutrition experts, counting David Cameron among his clients. Working together, a new scheme has been launched, looking to improve sports education in schools and assessing the impact this has on physical and intellectual wellbeing. The research has triggered the government to ring-fence £9,000 of funding for proper physical training in each school. The goal is to train teachers and pupils – so that teachers themselves can lead the most beneficial physical education classes for 20 minutes per day. Currently the project is being trialled with Lewisham council, with 14 classes participating over a six-week period. 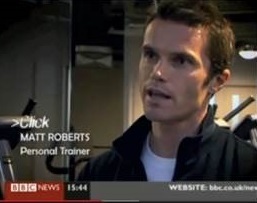 We invited BBC London to film Matt training teachers and pupils in Lewisham.